Abstract: Each sphere of knowledge and information could be depicted as a complex mesh of correlated items. By properly exploiting these connections, innovative and more efficient navigation strategies could be defined, possibly leading to a faster learning process and an enduring retention of information. In this work we investigate how the topological structure embedding the items to be learned can affect the efficiency of the learning dynamics. I’ll introduce a general class of algorithms that simulate the exploration of knowledge/information networks standing on well-established findings on educational scheduling. 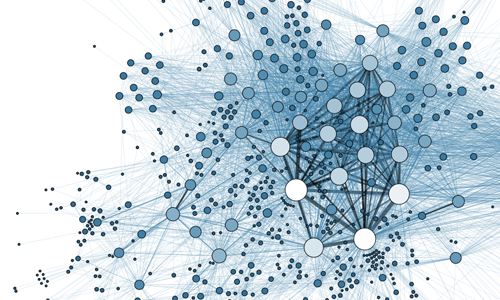 We focused both on synthetic and real-world graphs such as subsections of Wikipedia and word-association graphs. I’ll highlight the existence of optimal topological structures for the simulated learning dynamics whose efficiency is affected by the balance between hubs and the least connected items. Interestingly, the real-world graphs we considered lead naturally to almost optimal learning performances. Questo articolo fa parte di presentation. Salva il permalink.